A defiant Sri Sri Ravi Shankar, in an interview to NDTV, said that he would rather go to jail than pay the fine imposed on him by the national green tribunal (NGT). 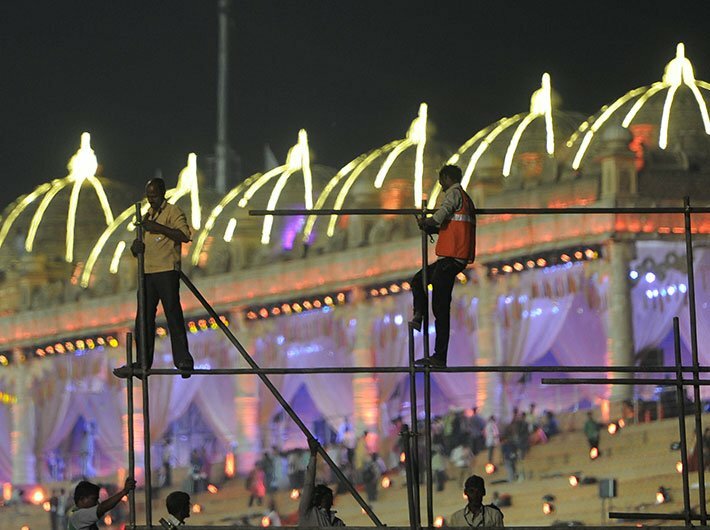 NGT had declared its verdict on the World Culture Festival on Wednesday allowing the programme to continue but slapped a fine of Rs 5 crore on the Art of Living (AoL) foundation. In a series of tweets, he said that he has requested for a venue on the banks of Yamuna to hold the festival. He added that he is not pleased with the penalty imposed by the tribunal. हम इस निर्णय से संतुष्ट नहीं हैं I हम अपील करेंगे I सत्यमेव जयते! He has said that he will appeal against the verdict. Hindustan Times had reported that the union ministry of culture has granted Rs 2.5 crore for the culture festival. The grant was approved in December for Vyakti Vikas Kendra Trust set up by spiritual guru Sri Sri Ravi Shankar.